Landon heads up content marketing at Picreel. He's a marketer and writer based in Toronto, Ontario. If you like this post, you can subscribe for updates. It’s that time of year again to start thinking about how you can put your website to work! Whether you’re an ecommerce site, a marketing agency, or a reseller of software solutions, there are several easy ways to start monetizing the traffic on your website — even if those visitors never end up becoming paying customers. When you think of allowing others to advertise on your website, your mind may go to annoying, flashy third-party ads that disrupt the user experience and stick out like a sore thumb. But native advertising is the complete opposite. Native advertising “matches the form and function of the platform upon which it appears.” While a native ad can be a box or banner “advertisement,” it can also be an article, video or other content that is relevant to the site hosting it. In fact, visitors may not even realize that they’re viewing an ad, except that the FTC requires advertisers to disclose the commercial nature of the content to avoid misleading readers. Google Adsense recently introduced a new ad format for website owners looking for an easy way to get started with native advertising while maintaining a positive user experience. Similar to Adwords, which displays paid ads in the SERPs (Search Engine Results Pages), Adsense allows advertisers to bid on ad space on websites. For example, if you are a realtor and sign up for Adsense for your site, Google may place ads for related products/services, such as furniture stores, moving companies, and local utilities companies, on your site. Anytime your site visitors click on one of these ads, you get paid. It’s really that simple. You don’t have to be the Wall Street Journal or other news site to require a paid subscription to your content. If you create stellar content that consistently performs well in terms of reads and shares, then you have a hungry audience that craves – and may be willing to pay for – your content. Using a paywall, you can establish subscription-based sections on your website that allows you to earn money from the visitors that wish to read the content there. The great thing about using a paywall to restrict access is that you decide who sees what content. You may choose to leave your blog accessible to all visitors, but link to more exclusive content that requires a subscription to access. This allows you to build a following of paid subscribers without excluding other visitors. Likewise, you can meter content by allowing a certain number of free articles before requiring visitors to subscribe. If you don’t produce exclusive content or you’re leery of native ads, producing your own onsite offers is a fast, effective and affordable way to start monetizing website traffic right now. 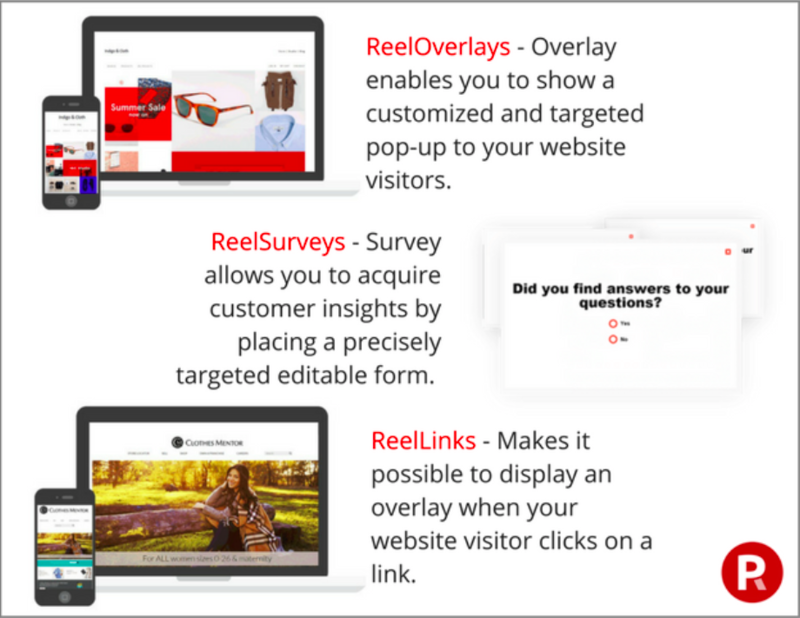 Overlay offers, also called popups, are a conversion rate optimization strategy that you use on your own website to turn more visitors into buyers and subscribers. You have complete control over the offer that visitors see, and, by using very specific targeting you can show visitors highly-targeted and relevant ads at precisely the right moment: when they make to leave your site, when they abandon a product in their cart, or after they’ve spent a predetermined amount of time on a page(s). Picreel is a cloud-based conversion rate optimization software that makes it a snap for anyone to create fully-customized offers on their website in a matter of minutes. There is no coding or technical expertise required, and with 40+ built-in templates, an easy editor, real-time analytics, and integration with all major website, CRM and marketing automation platforms, it’s an incredibly versatile and practical solution for any website owner. Learn more about getting started with offers from Picreel here. While some of these strategies require a bit more work than others, using Picreel to display your own offers on your own website is something that you can get started with right now. Contact us at 888-891-5782 to speak with a CRO specialist and learn how you can start making more money from your website traffic today. This Post? Leave a Comment Below!